Alabama has a rich heritage of abundant biodiversity and natural resources. The ~567-acre Tanglewood Biological Station is a facility that supports biological research, preserves the Tanglewood esatate as a plant and wildlife sanctuary, promotes natural resource education at the University of Alabama and to the public at large, and preserves the Bishop family home and its historical content as a heritage site for the citizens of Alabama. Located in Hale County, a 45-minute drive south of campus, Tanglewood provides a space for observing environmental change, training the next generation of scientists, continuing training of practicing educators and natural resource professionals, and engaging the public in science and discovery of the natural world. The 474-acre Tanglewood Estate was gifted to the University of Alabama by Alma Bishop Williams in 1949. Primarily a forested tract, the property also includes the Bishop family home, memorabilia and historic documents. It was the intention of Ms. Williams that the property should be developed as a plant and wildlife sanctuary and biological research station. In addition, Ms. Williams wanted the property to be an education resource for the citizens of Alabama of all ages and preserved as a memorial to her aunt, J. Nicholene Bishop. In 2012, the university built a classroom facility on the property. Recently, two parcels of land were purchased to enhance the property, which increased its area to ~567 acres. Research. Tanglewood encompasses distinct biodiverse terrestrial and aquatic habitats. 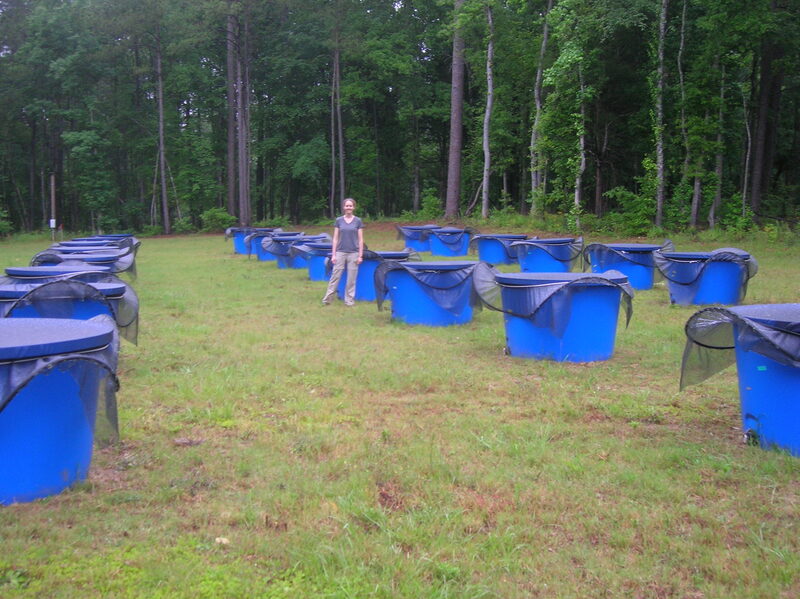 Due to its history of agricultural and forest management, the Tanglewood Biological Field Station is a unique outdoor lab where researchers can design and evaluate the impact of land management practices. The varied ecosystems on the property provide an opportunity for long-term data collection from biologically diverse forest and stream ecosystems. Under the direction of Dr. Jennifer Howeth, the property has dedicated space for short-term aquatic and terrestrial mesocosm experiments that test ecological mechanisms underlying drivers of species diversity and ecosystem function. 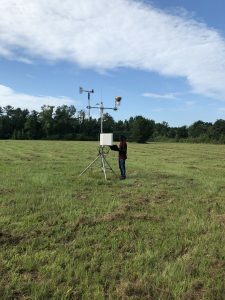 Dr. Christina Staudhammer has collected weather data at the station since 2018 and has an ongoing forest inventory project. Teaching. The Station allows hands-on, inquiry-based, place-based learning. Tanglewood enables UA students to explore education opportunities that capitalize on the unique outdoor learning environment. 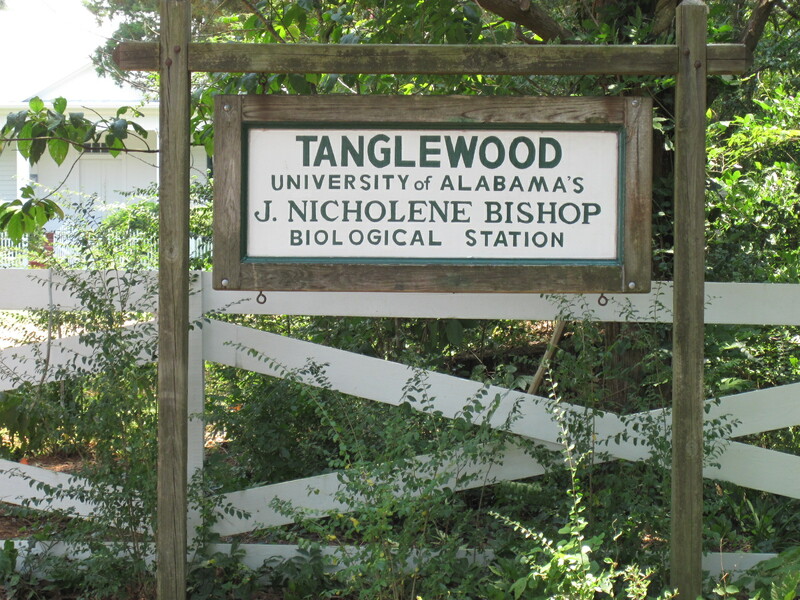 Currently, undergraduate and graduate courses utilize the Tanglewood station for field-based laboratory exercises (e.g., Forest Resources Conservation, Wildlife Conservation, Field Ecology). Outreach. 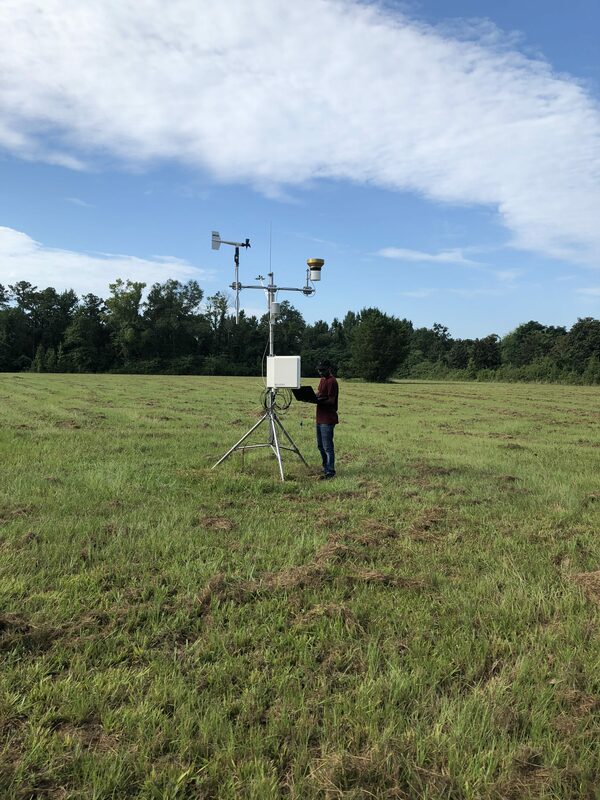 The Station provides a connection between the University of Alabama and local people, with the goal of deepening public understanding of the unique aquatic and terrestrial ecosystems of Tanglewood and the biodiversity of the state of Alabama.